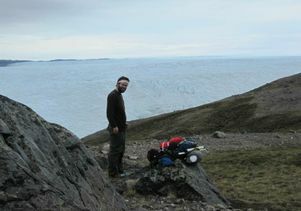 UCLA geography chair Laurence C. Smith in the field in Greenland. 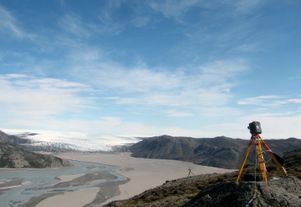 The frustrated attempts of a UCLA graduate student to quantify the amount of water draining from Greenland's melting ice sheet led him to devise a new way to measure river flows from outer space, he and his professor report in a new study. The new approach relies exclusively on the measurements of a river's width over time, which can be obtained from freely available satellite imagery. Currently, hydrologists calculate a river's discharge — the volume of water running through it at any given time — by taking a series of measurements on the ground, including not just the river's width but also its depth at multiple points and the velocity of its flows. Politics, financial considerations and terrain often stand in the way of obtaining such measurements. "Our new method doesn't require access to the country or getting in the river to safely take measurements in the field," said Colin Gleason, lead author of the study and a doctoral student in geography in UCLA's College of Letters and Science. "As long as we can get multiple pictures of a river and apply this method to them, we can tell you how much water was flowing in the river at the time the images were taken." "This work represents a breakthrough in our ability to address one of the most pressing environmental challenges of the 21st century, which is ensuring access to sufficient water supply for human beings and ecosystems," said Laurence C. Smith, co-author of the study and chair of UCLA's geography department. "I'm very excited about this discovery." "You still needed measurements on the ground to calibrate the method, which defeated the purpose," he said. "But now we can estimate discharge with river width alone, and width we can see from space." For the PNAS proof-of-concept study, Gleason and Smith used their new system and satellite imagery from the U.S. government's Landsat program to measure the discharge of three rivers — the Mississippi, Canada's Athabasca and China's Yangtze. They then compared those results with discharge figures from respected government agencies that monitor those rivers and whose calculations are recognized as highly accurate. The estimates of the UCLA geographers came within 20 to 30 percent of those figures. "That might sound like a big error, but right now, we have no idea about the flow rates of most rivers around the world," Smith said. "To get a number that is within even 30 percent of accurate is incredibly helpful." Greenland's ice sheet, the world's second largest body of ice after the Antarctic ice sheet, originally covered 660,000 square miles, but it is melting at a rapid rate due to climate change. 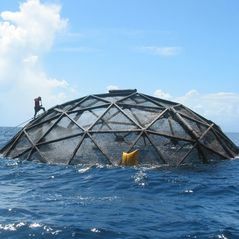 Runoff from the sheet is expected to elevate sea levels dramatically, and Smith is using field measurements in an attempt verify current computer-model–based projections of that rise. Tasked with calculating the discharge rates of rivers carrying melt from the ice sheet, Gleason struggled during his first two summers in the field. 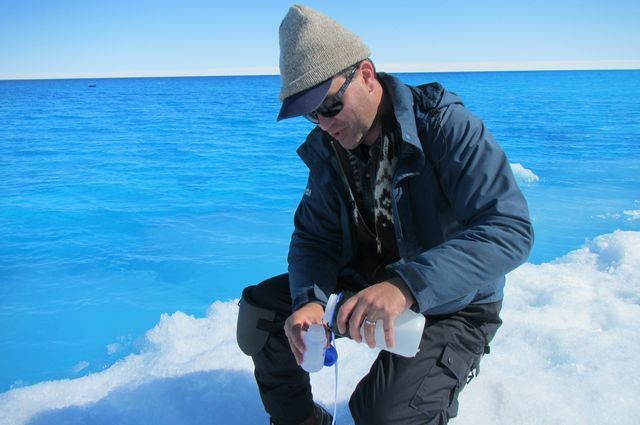 With banks that act like quicksand and rapidly moving water carrying ice chunks the size of cars, the ice sheet's more remote rivers proved too dangerous to approach, much less enter and take measurements. "We couldn't even get within 10 feet of a river — and at that, it was pushing it," Gleason said. However, Gleason was able to methodically photograph rivers from both sides and later use the information to calculate the waterways' widths. Back at UCLA, he pored over literature on the formula that had been used for the past 60 years to calculate river discharge. Gleason estimates that he read more than 100 studies on hydrologic geometry. Against all odds, his efforts uncovered a redundancy in the time-honored formula. "Larry didn't believe me at the beginning, so he kept saying, 'OK, test it with these data and those data,' " Gleason recalls with a laugh. Gleason's discovery allowed him to streamline the equation so that it required just one input —width — instead of three. The approach tracks vacillations in width at precise intervals on a river over time. Smith still shakes his head in disbelief at the discovery. "It's pretty amazing for this dusty old field that nobody discovered it before," Smith said. Since submitting the article for publication, Gleason and Smith have tested the method on an additional 19 rivers worldwide. So far, the technique has attained at least the same level of accuracy as reported in PNAS, with the exception of one particular topology: The geographers found that the approach doesn't work on rivers with vertical concrete sides, like the river that runs through Los Angeles. 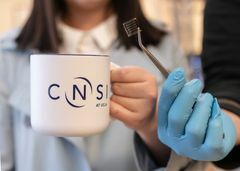 "We're halfway done and the approach is continuing to work, and I've made it run faster and more accurately than in the PNAS paper," Gleason said. And what of the Greenland rivers? When Gleason returned last year, he happened to see a herd of caribou crossing the waterway that had given him so much trouble. Based on where the water level hit the animals, he could extrapolate the depth measurement that had eluded him the two prior summers. Together with Smith, he improvised an approach to measuring velocity by throwing wadded balls of willow into the river and timing the balls' progress downstream. Finally, Gleason had the information to be able to figure out the river's discharge using the conventional approach. "It was great to finally get the measurement, but by that time I was so hooked on the discovery that resulted from the work-around," he said. "A lot can be done with this new algorithm that we developed."